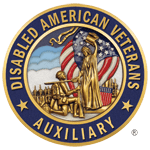 The DAV Auxiliary National Constitution and Bylaws outline and describe the governing principles that shall be adhered to by all officers and members on the national, state, and local levels. The DAVA Bylaws are available for purchase at a cost of $2.00 each, plus shipping and handling. If you would like to purchase a copy of the Bylaws, please contact Halo Customer Service at (800) 468-4332 or visit www.davstore.org.